Commercial Carpet Cleaning in Orange County, CA. Commercial carpet cleaning in Orange County, CA, on a rainy weekend. This past weekend offered a small introduction to a southern California winter. We had some rain here and there, but mostly we experience a cold weather for us Orange County residents. Nevertheless, if a carpet cleaning service in needed, it must happen. Especially when you need your office building cleaned and freshened up for an important visit. And for that exactly we are here. So we can help you get the best results for any purpose. 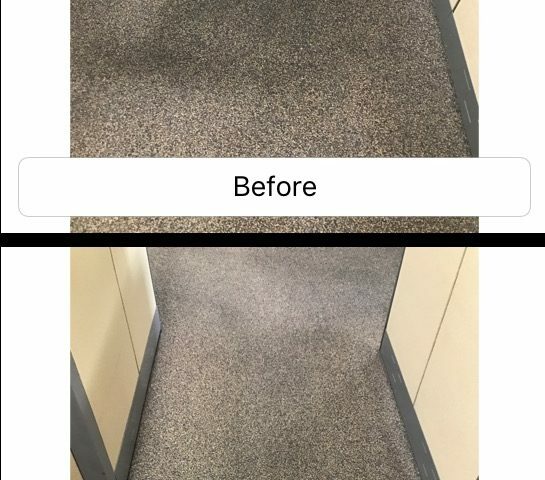 This commercial carpet cleaning in Orange County, CA, was of our long time customer in Fullerton. Nevertheless, for our new customers we would go above and byond as well. So, if you are also looking for a professional carpet cleaning service to help you with any sever case, get in touch with our specialists. Commercial carpet cleaning in Orange County, CA, with heavy foot traffic. As you can tell in the picture, the main area of this office had sever foot traffic damage. This area contains the cubilcles for the sales reps, and they do work hard. Nevertheless, when it comes to a surprise visit from a good client, or from the headquarters, it is very important to give the right imporession. Therefore, heavily spotting the soiled areas is the key. 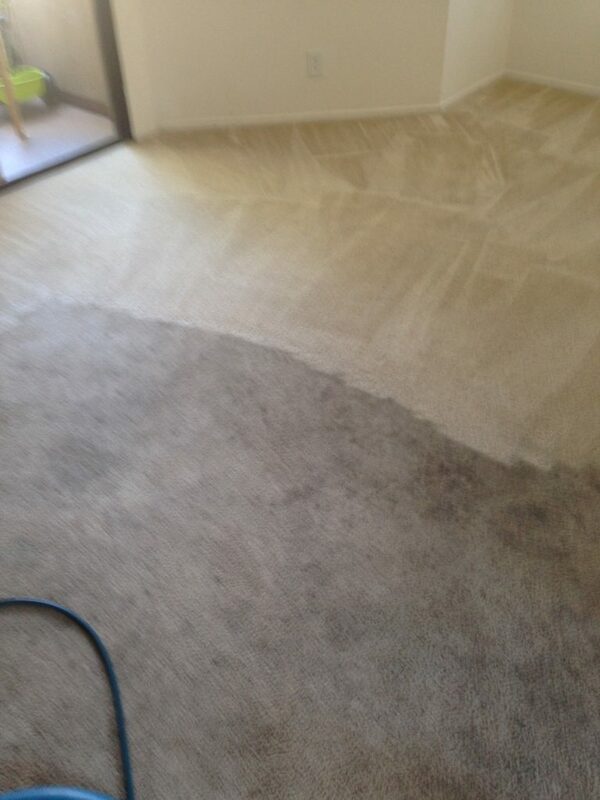 In this case we had to use two different types of carpet cleaning solutions. One formula was apllied first at 1:1 ratio. And the follow up formula was added later on for extra strength at 1:3 ratio. The results you can see for yourself. Although the main foor traffic area is matted, the black lane has dispappearf and the carpet looks much fresher. Being able to adjust our approach for each individual case is vital for the success of our work. Each job is different as the carpet installed is different in shape size and form. For more indormation about our commercial carpet cleaning in Orange County, CA, Please contact Dr. Carpet. 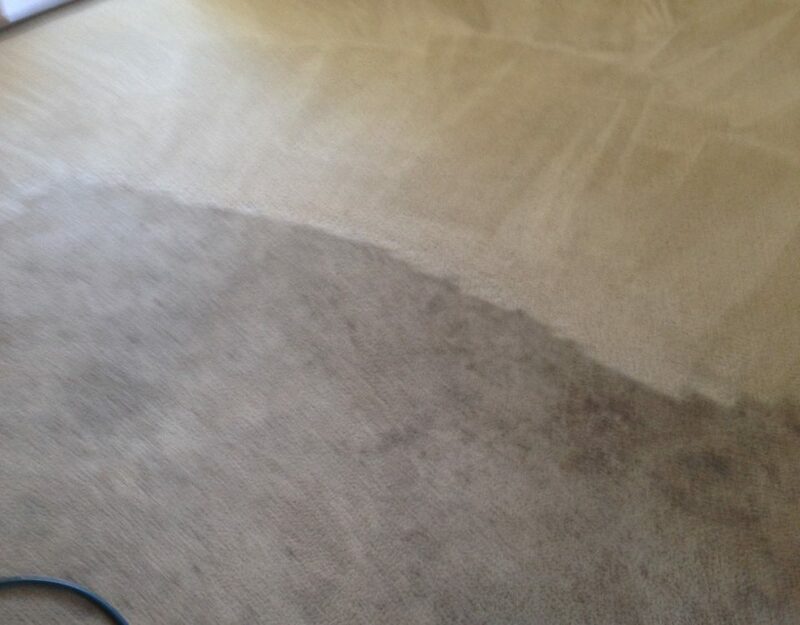 Are you searching for carpet cleaning service in Dana Point?